The main topic of the application is Cooking and Sharing Food. This app connects people who have food that they are not going to eat with people who would like this food. Bits Please is a mobile application developed in the field of Health and nutrition. 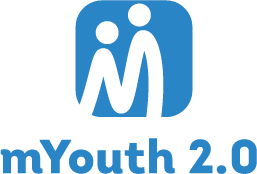 The intention on developing an application is utilizing of the power of smartphones to promote a healthy lifestyle. The users of this application will have a mobile encyclopedia for each and every fruit they come across, as well as recipes composed by that type of fruit, just by looking it up or taking a quick photo of it. 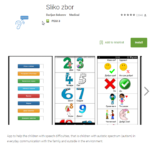 Sliko zbor is a mobile application developed to help children with speech difficulties, that is children with autistic spectrum (autism) in the everyday communication with their family, as well as in the outside environment in general.